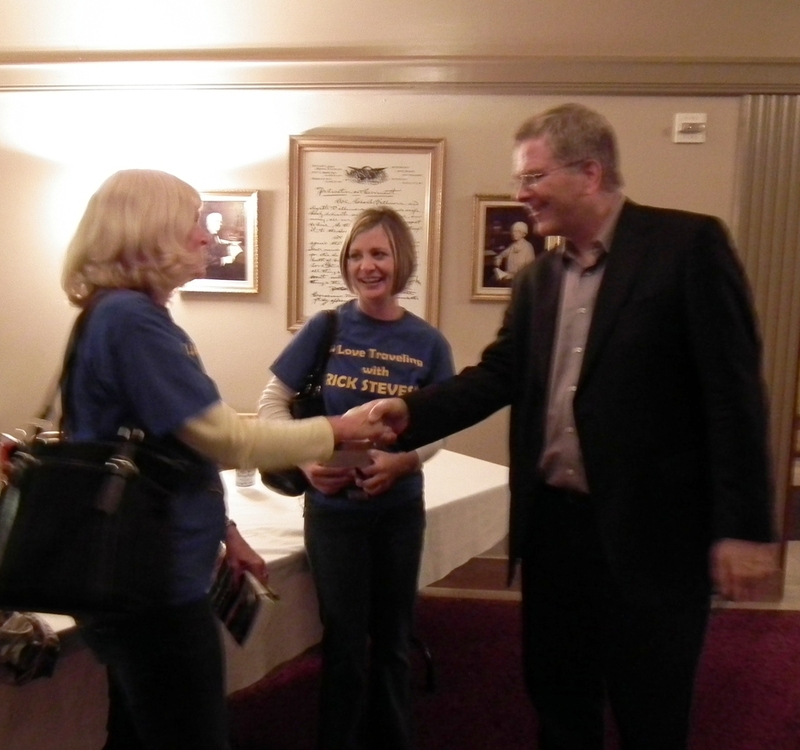 This past weekend, my friend Laura and I went to Kansas City, Missouri to listen to Rick Steves speak about travel. Now, I love traveling ! I also love Rick Steves Travel Guide Books and his Television Travel Show. Rick’s Travel Books truly are a complete guide for anyone traveling in Europe on their own. So this was my chance to see Rick in person. But I also really wanted to meet him face to face. The plan? Make sure Laura and I stood out in the crowd. 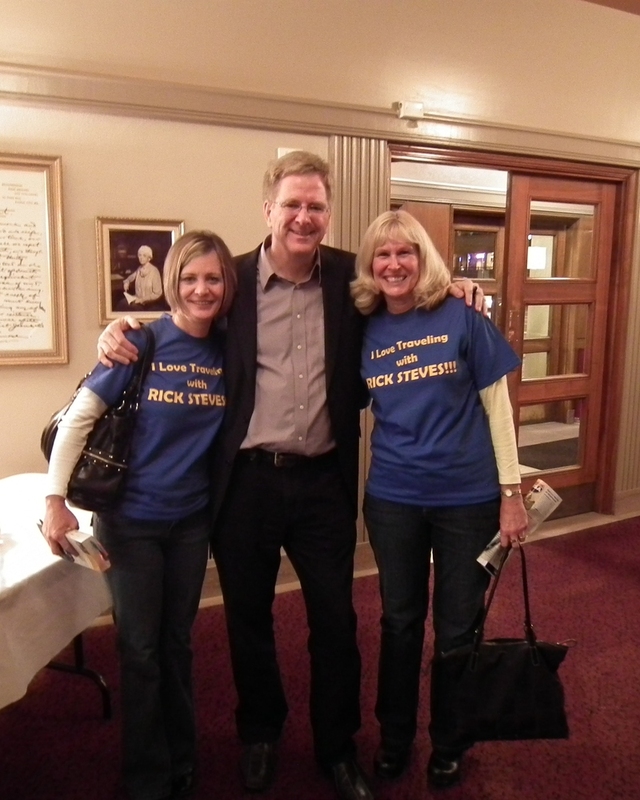 So with perserverance , along with wearing our custom “I Love Traveling with Rick Steves” T- shirts – it paid off!!! We got to meet and talk with Rick, have our guide books signed and have a photo op with him! What a thrill to meet Rick and see for ourselves what a friendly, engaging and entertaining person he is. Then to top it all off, Rick also took photos of the three of us with his own iphone and Rick included a photo of the three of us in his USA Road Trip Blog, Day 10 and writing ” two women drove four hours from St. Louis for my Kansas City talk and wore T-shirts declaring their love for traveling “through the back door” with my guidebooks”. We also met, Keith, his Road Trip driver and also a Rick Steves Tour Director. Keith was also friendly and told us how great it was like to work with Rick. I told him to keep an eye out for my resume…..